The writer and producer of the Australian film Sanctum, Andrew Wright has been killed after a helicopter he was piloting crashed just outside Nowra on the NSW south coast yesterday. 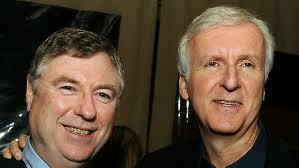 The 3D movie was a huge world-wide box office success in 2011 and sealed a partnership between Wright and Avatar director James Cameron who announced two days ago that he was moving to New Zealand. 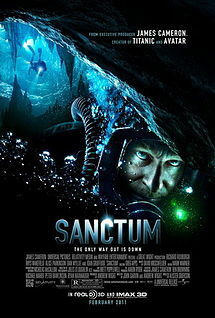 Sanctum starred Richard Roxburgh, Ioan Gruffud, Rhys Wakefield and Alison Cratchley. Filmed on the Gold Coast it followed the adventures of a group of divers exploring underground mines and was to be the beginning of a long term partnership between Cameron and Wright. Andrew Wright was filming scenes for a documentary when he and associate Mike DeGruy's chopper suddenly dived and crashed , killing the pair outright.